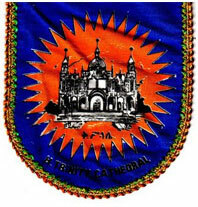 The Holy Trinity Cathedral was established on December 22, 1931, under the auspices of His Imperial Majesty Haileselassie I. But during the war of resistance against fascism, the construction was disrupted for five years (1935 – 1940). Through the help of the Almighty, the construction had continued after liberation and was completed in1943.